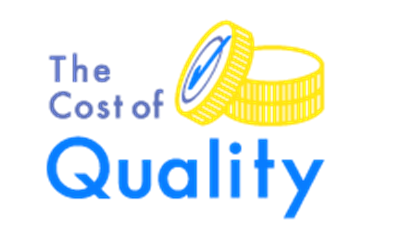 In search of quality excellence, companies need to have a great awareness of the cost of quality. It is often observed that, very few organizations make any reference to the cost of quality in their management review. Most of the times, the risks associated with quality cost can slip from the radar. But it is important for the organizations to identify these risks when the organization wants to implement continuous improvement processes. Reduction in cost with the help of process approach allows organization to determine whether they are adding value or cost. PDCA, process approach and risk based thinking are an integral part of ISO 9001:2015. Using these methods will lead to optimum utilization of resources and better accountability. A quality professional should ensure whether the organization has a designated person who is responsible for overall coordination and reporting of quality costs. Quality professionals need to face the challenge of identifying and collecting quality cost data. Identification of prevention, failure, internal failure and appraisal cost helps while producing the data. Prevention quality costs include training of staff and surveying the markets. Appraisal cost can be anything from inspection of incoming goods to proofreading. Internal failure costs may include costs of scrap material, rework or repairs cost etc. Cost of quality is big. But worry not! There are many models that can be used to effectively measure the actual cost of quality. Eurotech, an IRCA approved training partner (ATP), is conducting ISO 9001:2015 Quality Management Trainings in your city. These training will help you better understand the concept and importance of a quality management system in your organization, resulting in lowering the cost of quality for your organization. To know more about this training, drop an email at trg@eurotechworld.net or call us at +91 9316744482 or 0172 - 4191128.